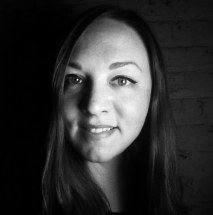 Heather Stratton is an artist-educator working in electronic and lens-based media. Her work is confessional in nature, focusing on themes of feminism, the memory ghost, ritual and repetition, and myth. Stratton's work is primarily focused in video, photography, experimental sound and installation. Before joining the photography and digital media faculty at the University of Kentucky’s School of Arts and Visual Studies, Stratton taught at the Gwen Frostic School of Art at Western Michigan University in Kalamazoo, Michigan, Kellogg Community College, and Kingman Museum in Battle Creek, Michigan. She worked for several years, in addition to academia, as a marketing and communications specialist with several area non-profits in South Central Michigan. Stratton earned her M.F.A. in Photographic and Electronic Media from the Maryland Institute College of Art. Her primary teaching focuses are analog and digital photography, video, and interdisciplinary media studies. Stratton’s work has been exhibited nationally and internationally. In 2013 she traveled to Seoul, South Korea as an invited guest artist at Ewha Womans University and has given many presentations and lectures on her work across the United States.